The cost of hotel rooms is increasing by the day. However, even if you have financial constraints you cannot compromise on the quality of the hotels especially when you’re traveling with your loved ones. These days, budget hotels are becoming popular among the masses as they offer a comfortable stay at reasonable prices. 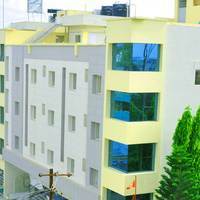 Budget hotels offer basic facilities like water supply, air conditioners, and attached bathrooms. Moreover, the staff at these hotels is friendly and helpful. Although the rooms are small, they are clean and well-maintained. Apart from being light on the pocket, many budget hotels are located close to railway stations, restaurants, and tourist spots. So if you’re planning a trip to Hosur, you may choose from the following budget hotels in Hosur, Dhanunjaya's Hotel and Hotel Sri Vaari Residency. For a hassle-free booking process you may opt for Cleartrip. We offer pay@hotel feature through which you could book your hotel and make payment directly while checking in. Here are the top budget hotels that offer the pay@hotel facility. Hotel Sri Vaari Residency. In case of unforeseen circumstances if you wish to cancel your booking, these are top three hotels that provide free cancelation. 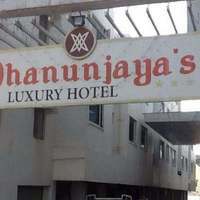 Dhanunjaya's Hotel and Hotel Sri Vaari Residency. The prices of Hosur budget hotels range from ₹ 1680 to ₹ 1943. So, download the Cleartrip app or browse through our website for various budget hotels and book one that suits your requirements.